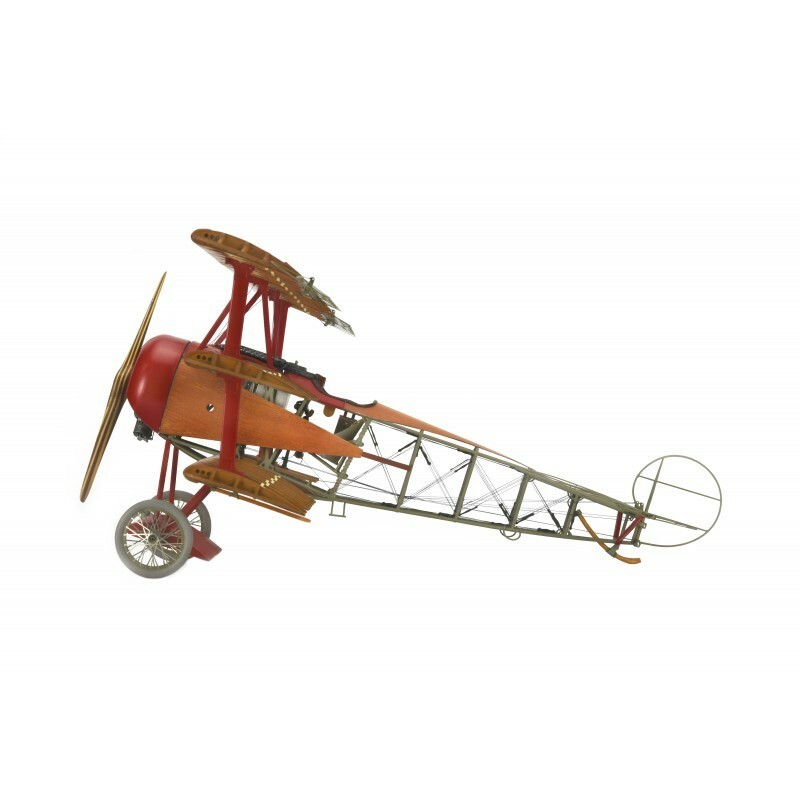 Fokker Dr.I was a German fighter plane from the First World War. 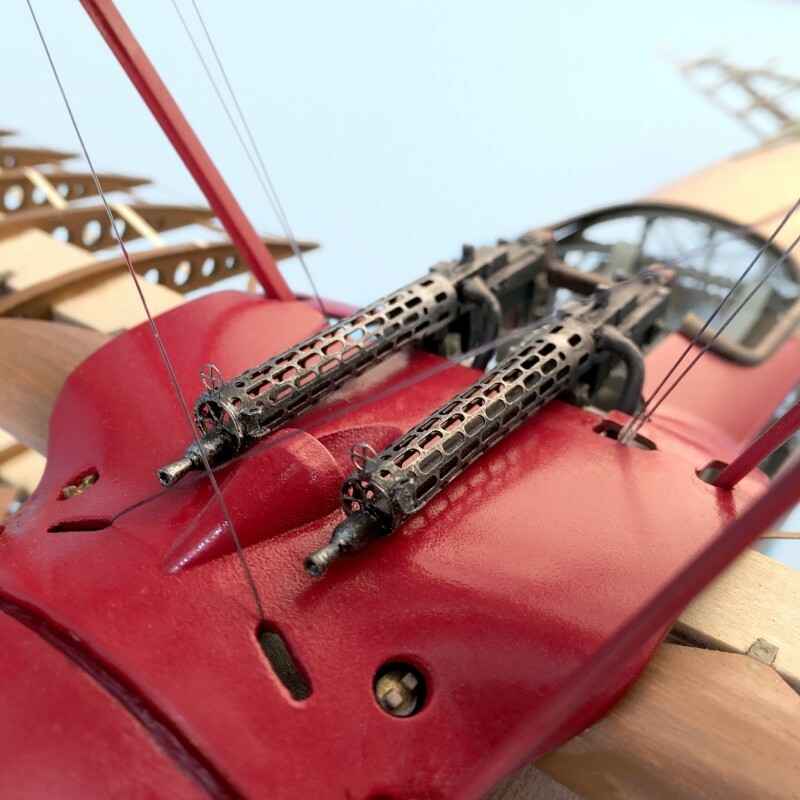 It was made known at the end of 1917, especially by the legendary German pilot Manfred von Richthofen, the Red Baron. 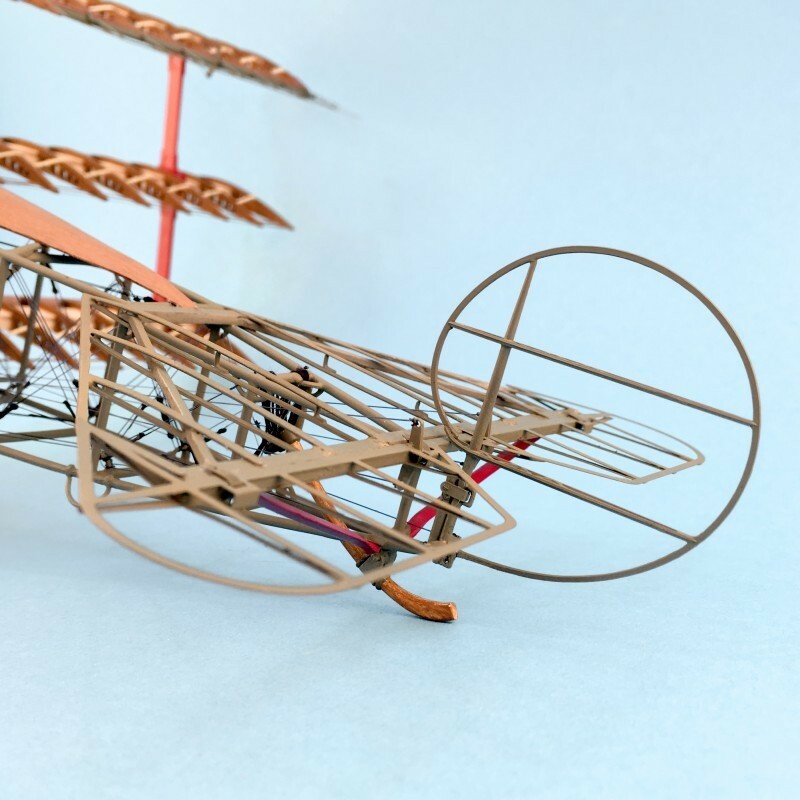 The Fokker Dr. 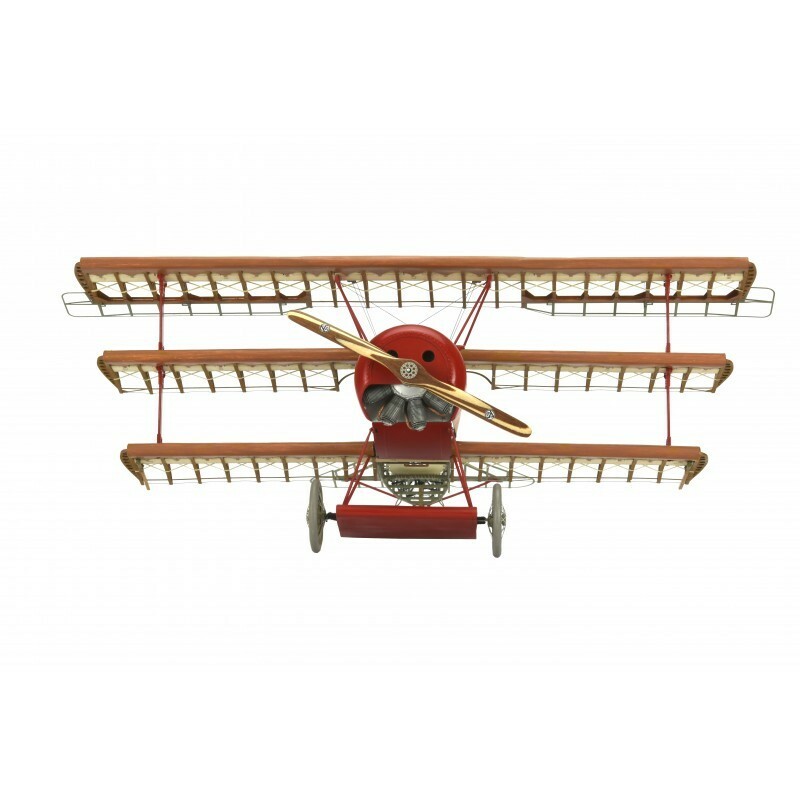 I is an airplane that conquered numerous victories for the German side. In that same year, most of the major aviation factories attempted to create their own triple-deck fighters. 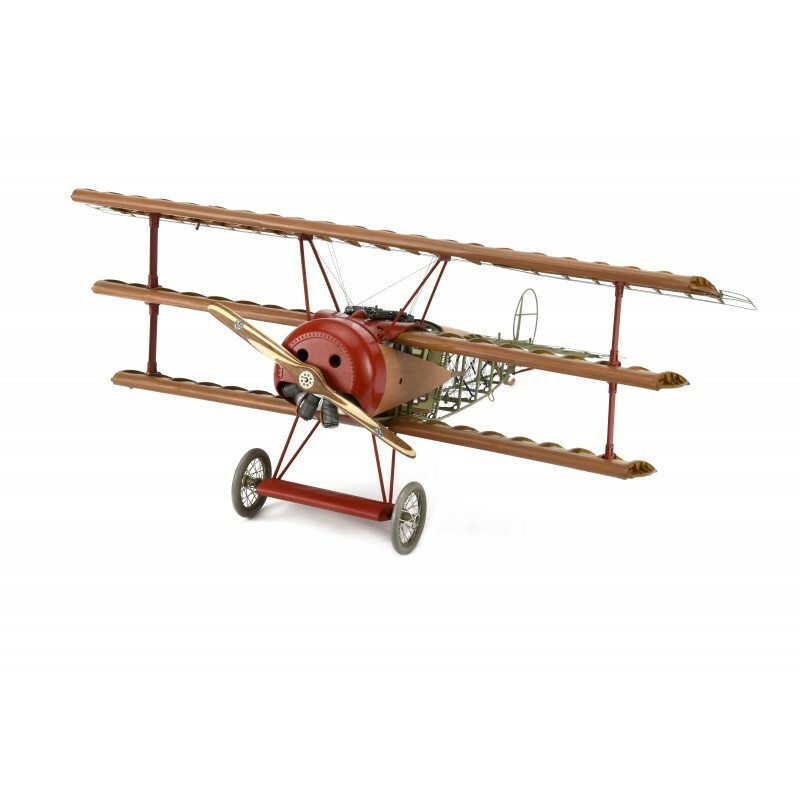 It was a Dutchman, Anthony Fokker, who finally created the triplane that would become the nightmare of the Allies. 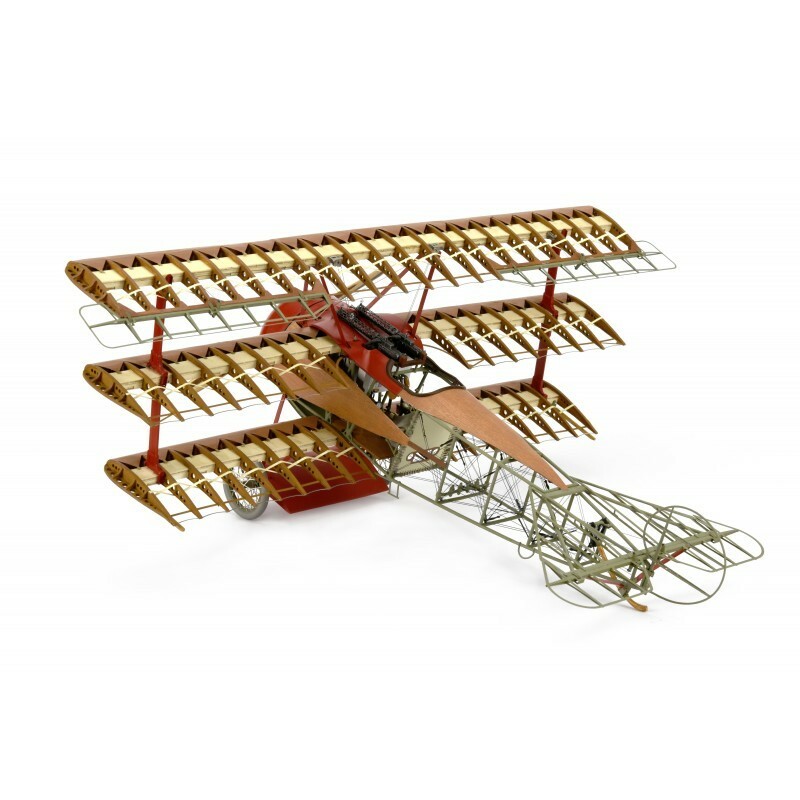 Its highest rival in the heights was the British biplane hunt called Sopwith Camel, war machine of the Allies that allowed to face the great effectiveness and precision of the Fokker I. 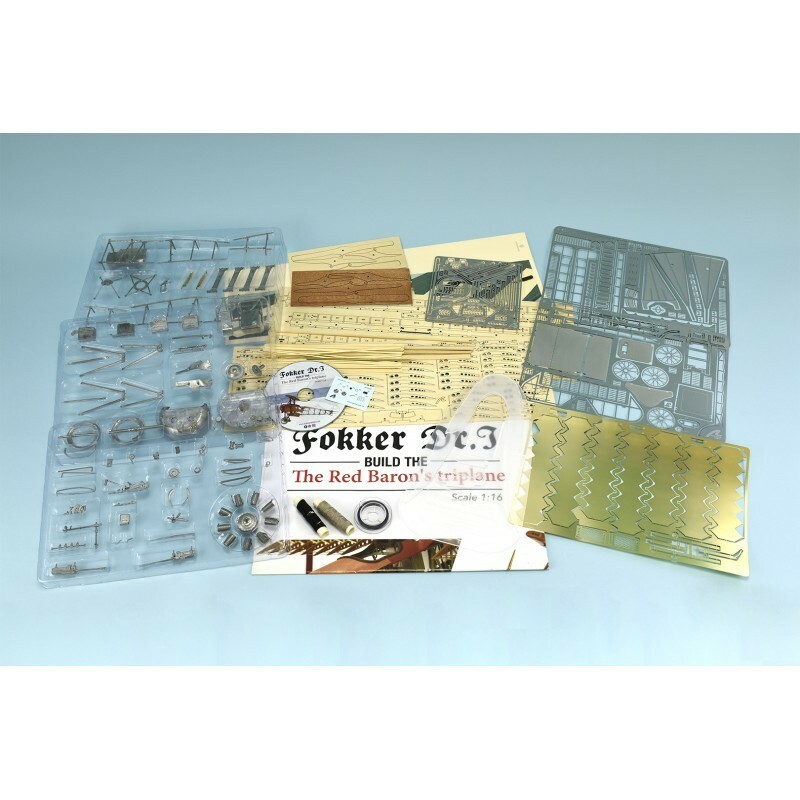 The new modeling kit of the German triplane Fokker Dr.I of the Red Baron will delight modelers. 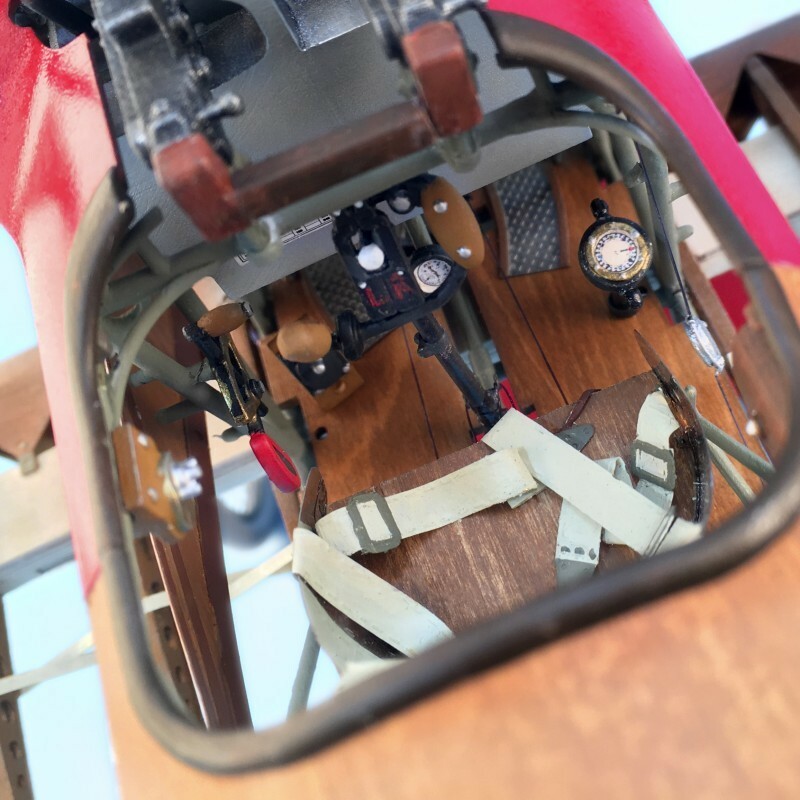 It is a wooden model of the German plane with a scale 1/16, very compact and has numerous details. 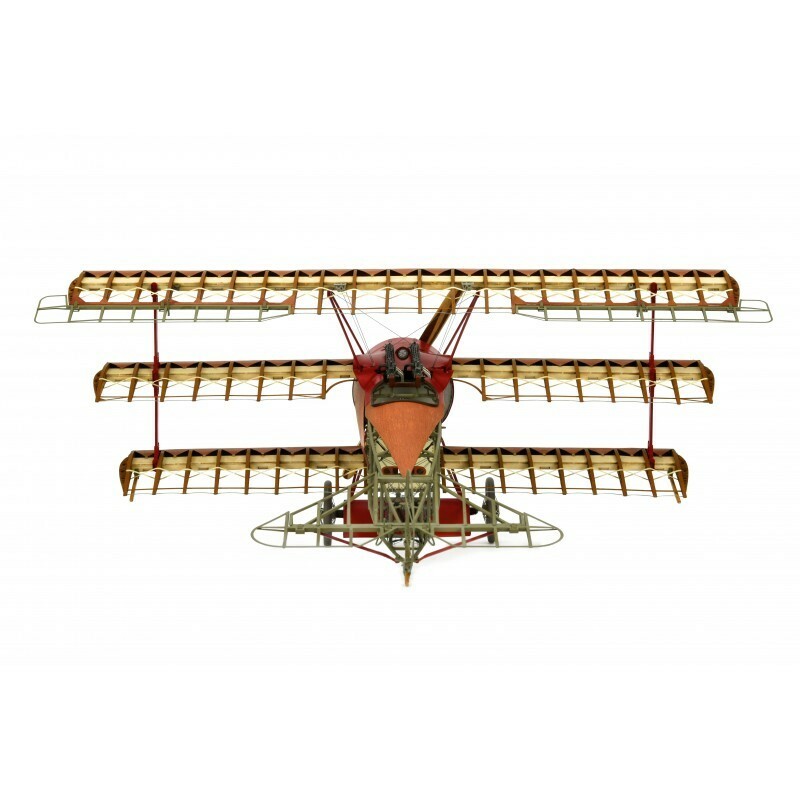 Faithful replica of the original even with the same materials: metal, for the structure; and wood, for the wings. 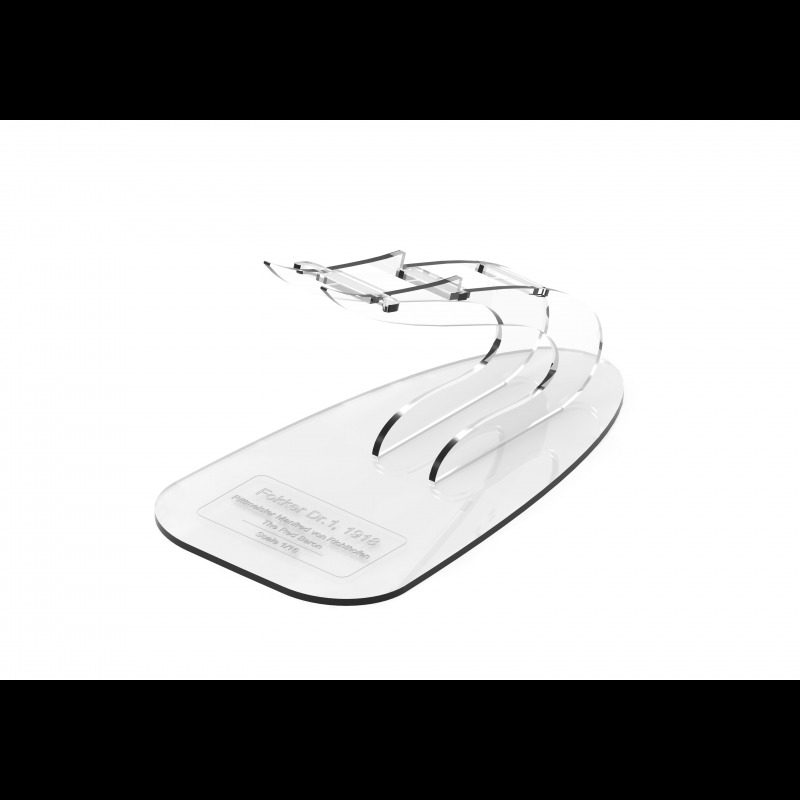 Suitable for exhibition in any dependency even having a large scale for its compact measures. 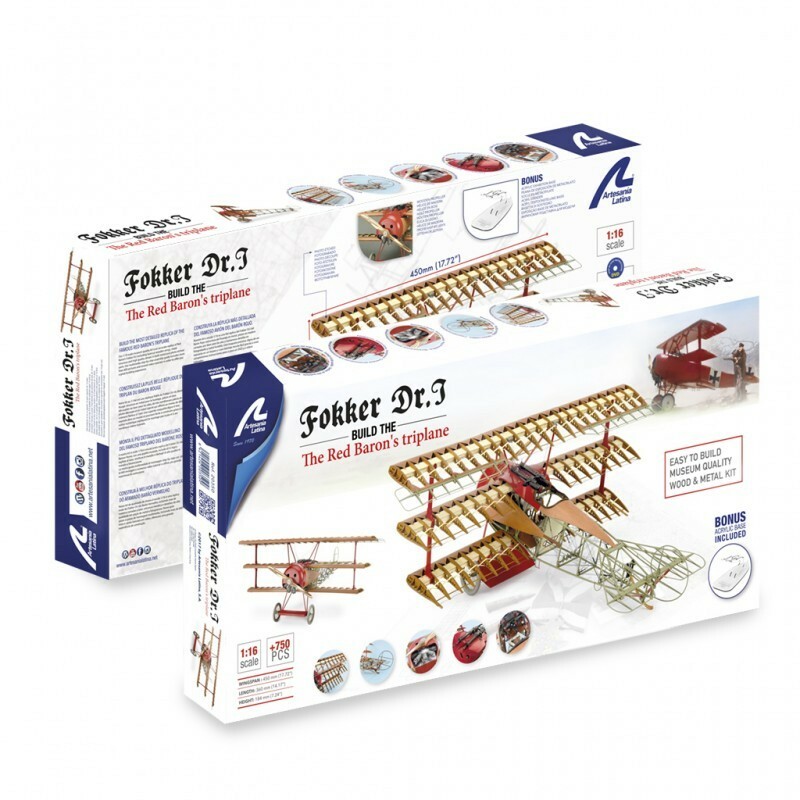 In addition, the Fokker scale model has the best and most detailed multimedia instructions on the market with 7 languages on DVD: video tutorials and more than 600 photos that teach you precisely all the steps to build this fantastic model, that is, up to Get a museum quality model. 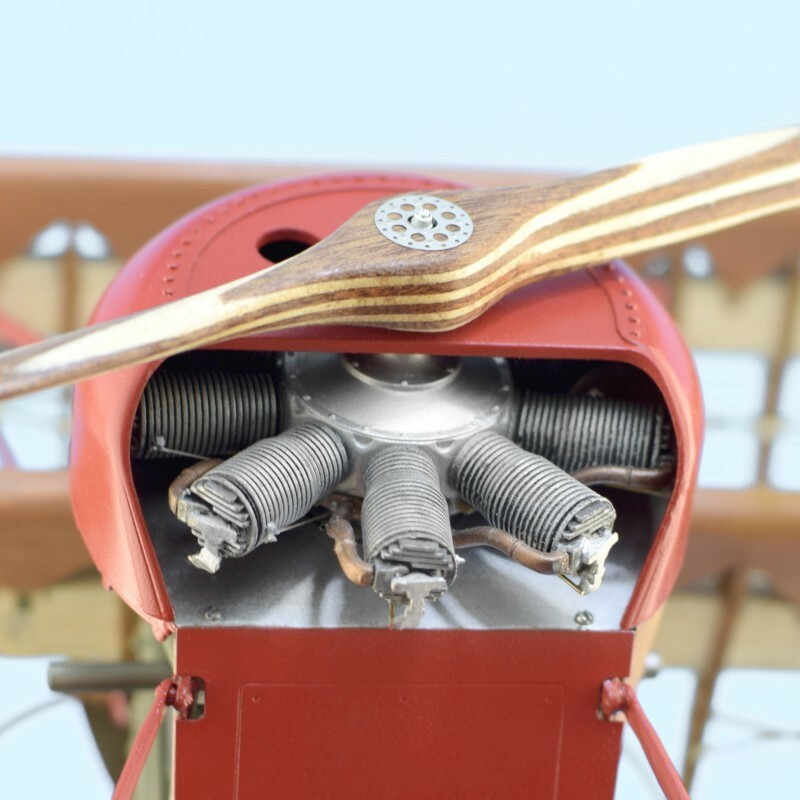 It has unique high quality details, and it includes a fantastic BONUS that will make you fall in love with this magnificent piece: beautiful methacrylate stand with the name of the plane, brass and steel engraving, injected metal parts, cockpit details, metal structure and wings made of wood, without forgetting the poster of the plane to scale 1: 1. The model is easy to build and has more than 750 pieces. 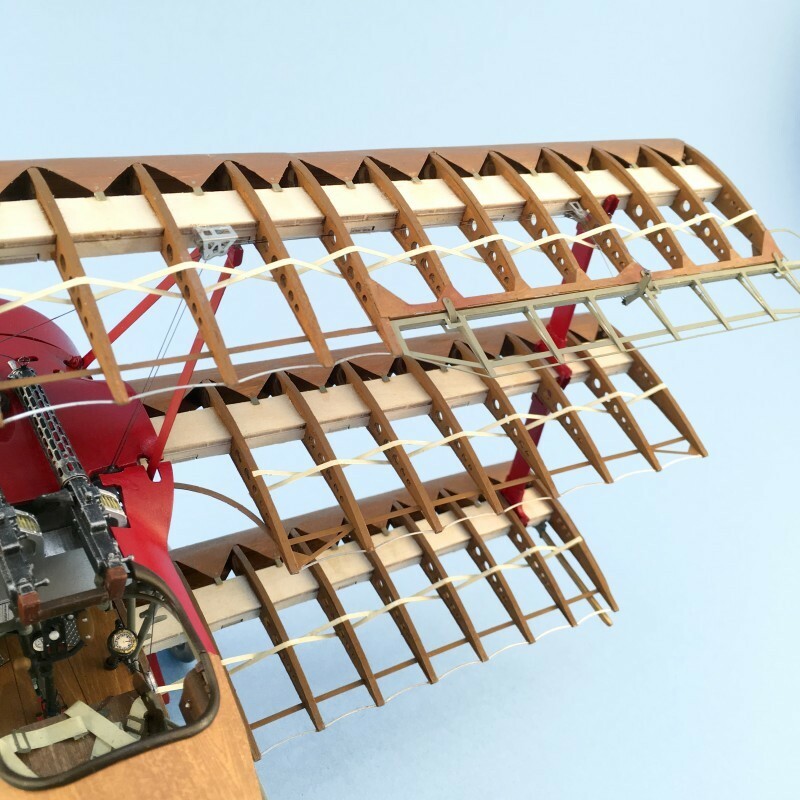 Its measurements are... Wingspan: 17.72'' (450 mm) x Length: 14.17'' (360 mm) x Heigth: 7.24'' (184 mm).